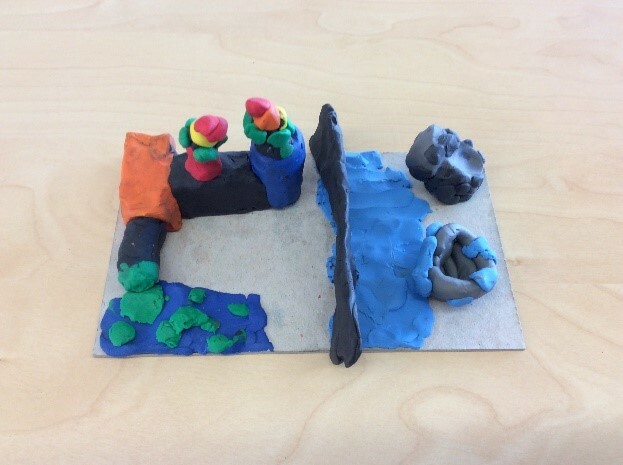 This term, Year 5 and Year 6 students have worked together to explore connections within our geographical world. We have learnt that small actions can have big effects. Throughout this Inquiry we have tried to show our thinking and learning in different ways. A factory creates smoke which pollutes the air and creates global warming. Global warming is causing cyclones. The black coming out of the chimney represents the smoke, the green represents pollution. The yellow turning to red represents the air getting hotter. On the other side a cyclone is forming from the smoke coming out of the factory. This shows the connection between our actions and natural disasters. My Inquiry piece represents how the rainforest is under attack. Society has been burning down trees, ruining the orangutan’s habitat and using their homes for palm oil plantations. Many trees have been cut down for Palm Oil plantation and many orangutans have suffered. Orangutans share 97% of the same DNA human have, no human, or animal should have their home taken away and burnt in fire. 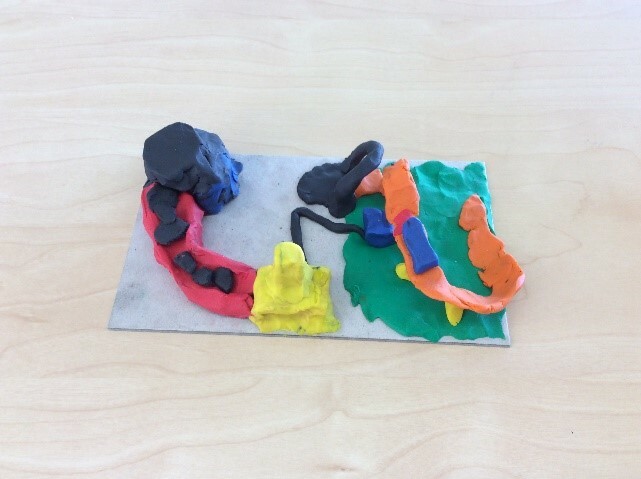 Our model shows coal coming from a factory and being processed into power. This is destroying our earth. We have put a roller coaster on our model to represent the fact that humans are ‘having fun’ destroying our earth. Coal is used for power, which we use everyday in a careless way. Through this model we are trying to make people think about how they use power and lead them towards using cleaner forms of power. In our model we have a drill, oil, water and a human to show that when humans are drilling into the earth it creates catastrophic events. For example, tectonic plates sliding which creates an earthquake. That then creates volcanic eruptions and more. From here, we are working together to put our learning into action. 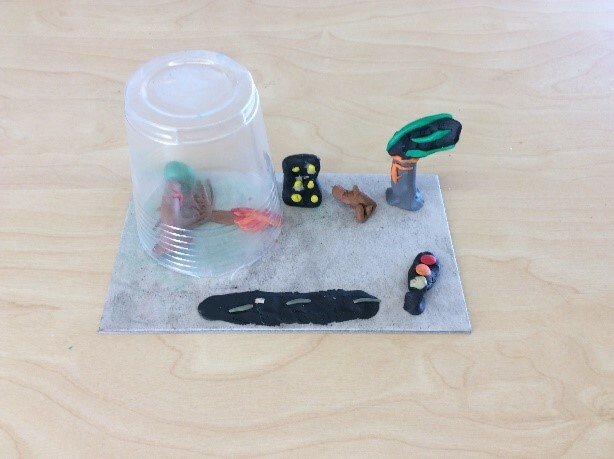 Students are using the remainder of the term to design and implement an action within their community: an action that will aim to stop some of the negative impacts of humans on our natural world. As we try to bring our learning into the community, we hope you will realise that everything is connected: your small actions can make a big difference to the future of our planet. 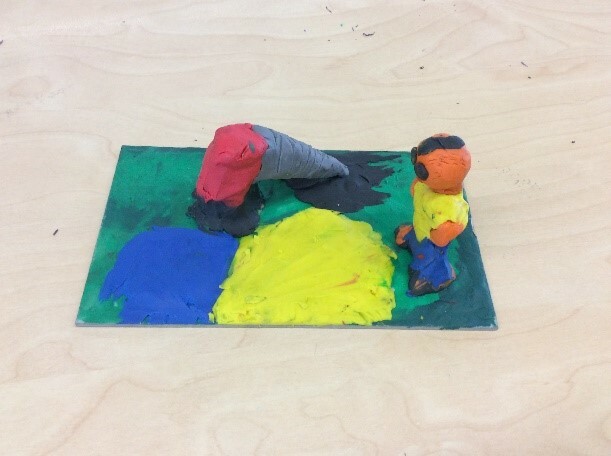 This entry was posted in Students and tagged geography, Grade 5, Grade 6 by Kate W. Bookmark the permalink.